Andrea's World Reviews: Super Duper Publications Sweeps TNPC Spring Awards. Enter to WIN!! Super Duper Publications Sweeps TNPC Spring Awards. Enter to WIN!! The National Parenting Center (TNPC), provides independent testing by knowledgeable authorities and parents give their seal of approval on a select group of today's must-have items. This year was the first year that Super Duper had submitted any products for approval. They submitted 6 items, and each of them was awarded the Spring 2013 Seal of Approval by TNPC. That is an extraordinary accomplishment. Since Super Duper as been available to(and highly regarded by) therapists, teachers and special needs professionals for 27 years before ever being available to the public, I knew that these products must really be vital tools in the quest for knowledge, especially for special needs children. 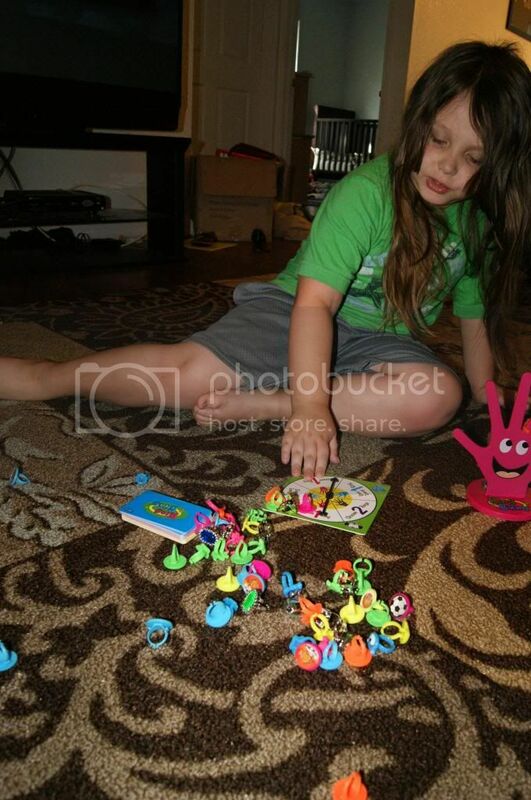 Since my nearly 6 year old son is Autistic, finding resources that can help him learn is essential. 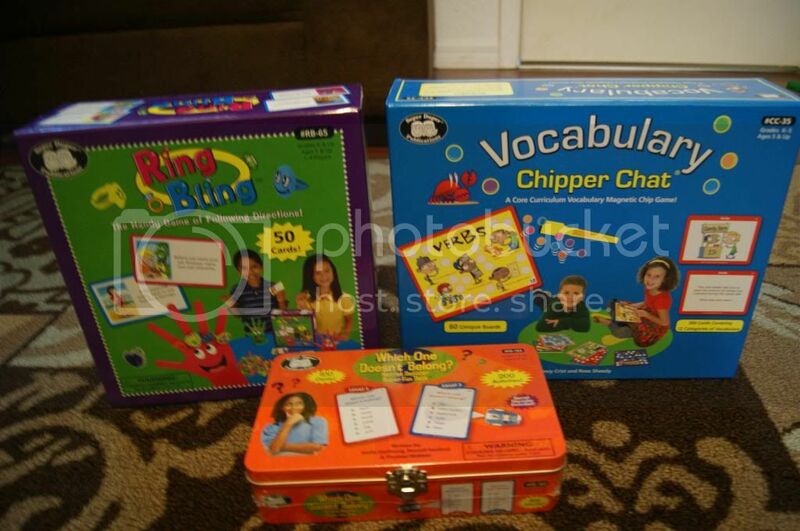 I love that these items are created with special needs in mind, because although my son's autism is more mild than many cases, he still relates to things differently than "normal" children, so many educational products just do not fulfill our needs. I am so glad that I discovered Super Duper. I got 3 of the above mentioned items for my son, and I can totally see why they won such a prestigious award. I love the amazing variety of these games. They are all so different and all promote learning in a fun and unique way. The objective of this game is very simple. 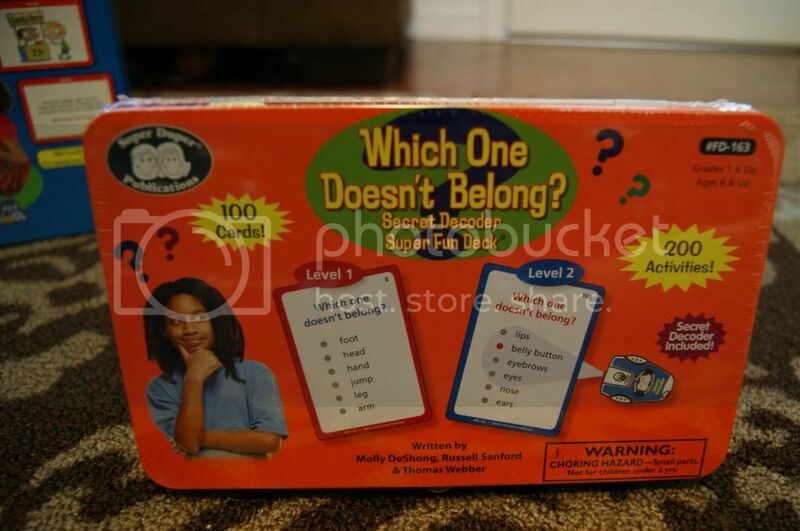 You look at the cards and choose the item that does not belong. What makes the game really special is that it is actually more of an exercise than a game. There is not competition or anything. The purpose is simply to know(or learn) which items do not belong together. This is not a game of chance. It build knowledge, not strategy. Another really cool component of this game is that there are 2 levels if questions. Each card is 2-sided. The red sides are level 1 questions, and the blue sides are level 2, so it can evolve as your child learns. 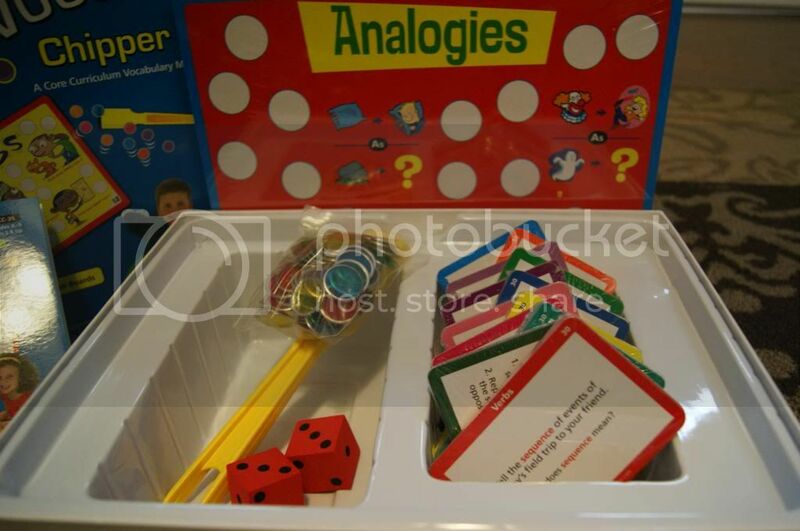 Another great thing is that this can be done flash card style with parents and children(or children and other children), but it is designed so that it can be done alone. 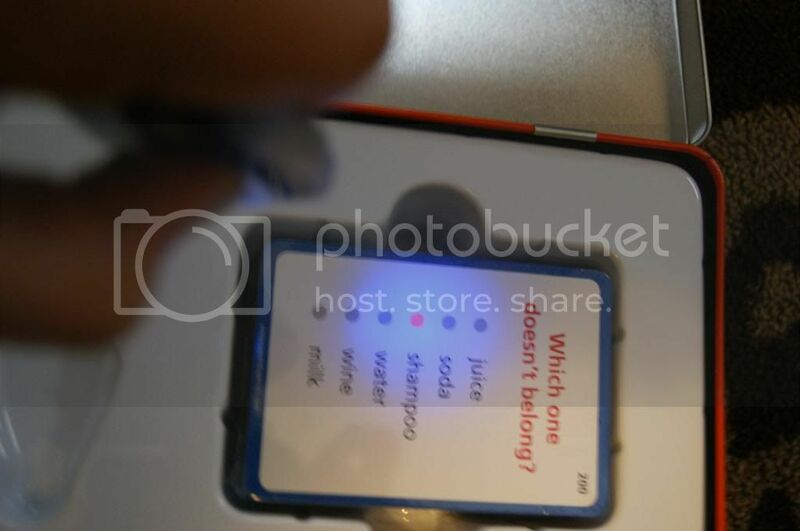 The light that is included creates a red dot next to the item that does not belong, so the child can check(or find out) the answers on their own. I love that. My son thinks it is magic. He loves to play with the light and find the answers, and it really helps him learn. I like to play it with him so I can explain why the items do not belong to further increase his learning. 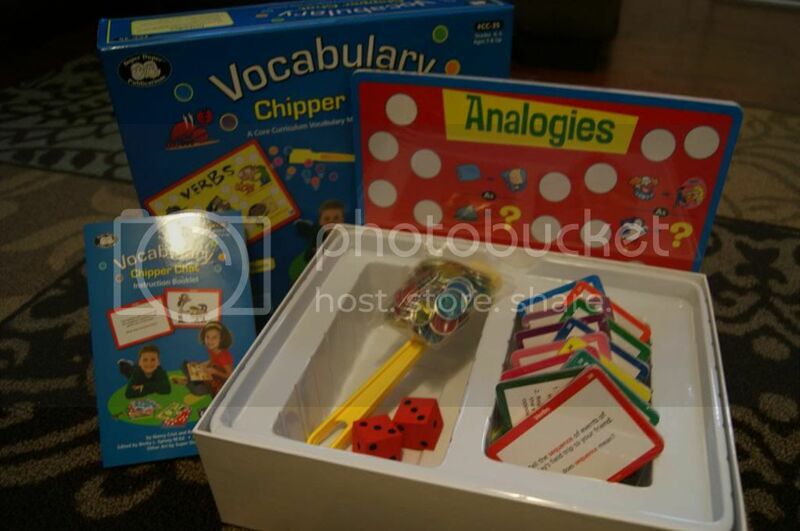 Vocabulary Chipper Chat is a fun and motivating magnetic chip game designed to help children understand and use new vocabulary and language skills aligned with national core curriculum objectives for grades K–5. I love that this is the same set that would be used in language therapy for my son. Speech and sentence and conversation composition and comprehension is the area that he struggles the most. He knows most any word, but knowing the context and things like analogies and such are areas that he really needs to work on. 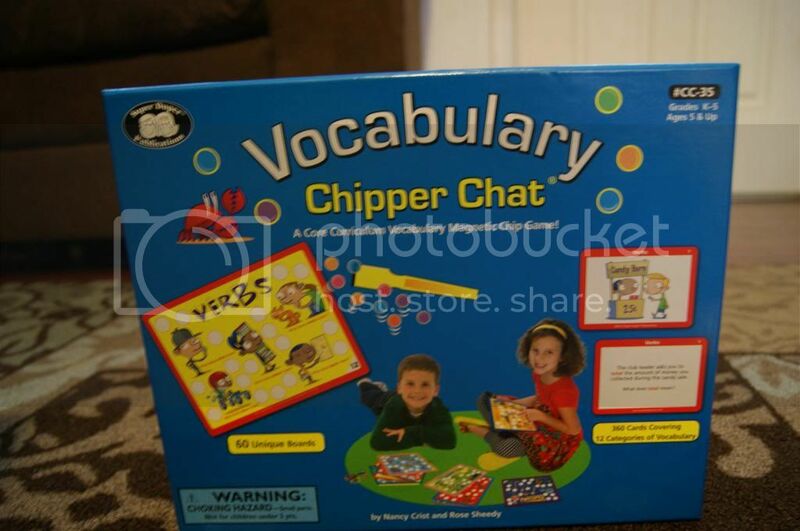 Vocabulary Chipper Chat provides all the tools he needs to develop these areas in a fun and easy way. 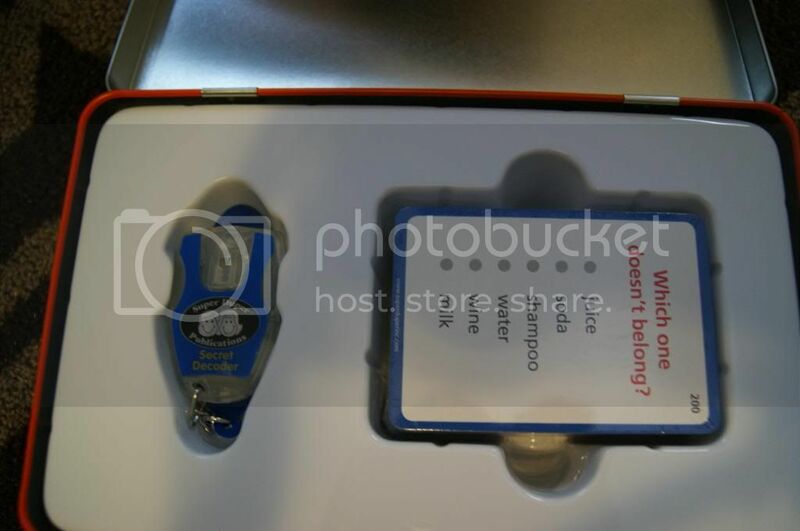 I really love this system, and in my opinion it is a must have for any child. Knowledge is power, and anything that can help a child learn is a huge asset. My son was especially interested in this game just from first glance. 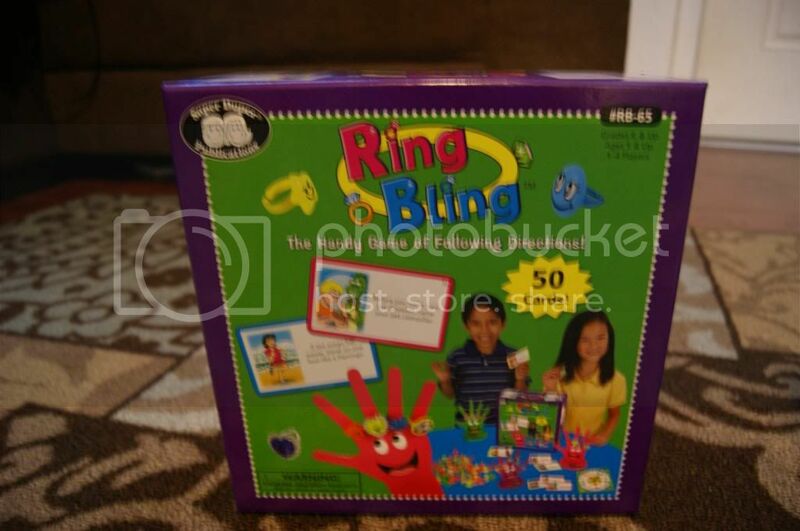 I am sure that is because of the Toy hands and the real(plastic) rings. This game is really cute. The concept is pretty simple. The cards will have directions on them, in either Basic, Conditional or Temporal categories. The objective is to understand and follow the directions. Doing so can earn a spin which results in rings. 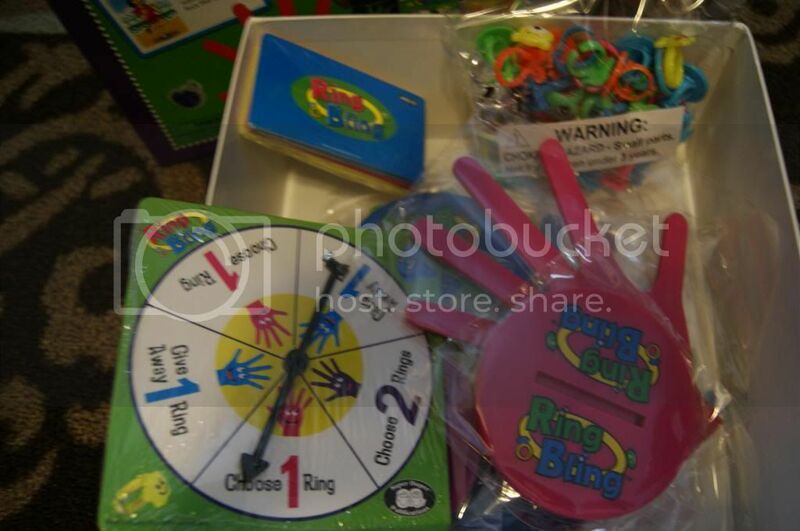 The game can be played without the spinner as well, awarding one ring for each correct response, and the game can also be done with removing the rings, and the first to get rid of them all wins. My son just loves this. It is so cute to watch him play. He gets so excited about the rings, and even tried to wear them himself a few times. 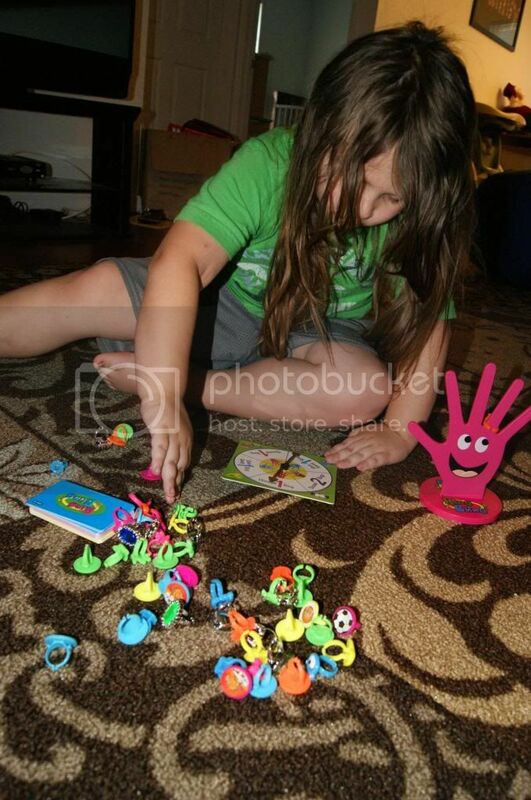 The directions are so fun, and he could use the help in interpreting directions and then carrying them out. Super Duper Products are just phenomenal. Any parent(teacher, caregiver, etc) of a special needs child, or any child even, should definitely check out Super Duper Publications and try at least one of their amazing educational tools. That is all it will take to fall in love. Seeing children take joy in learning is an indescribable joy, and Super Duper makes it happen. I am so glad I discovered Super Super for my son and, in time, my daughter. They make it so easy for me to help him(them) learn and provides a fun bonding experience in the process, it's everything that I could want and more. Since I believe that every child would be benefited by Super Duper, one lucky winner will receive their choice of the 6 items(award winners) mentioned above. You cannot go wrong with any I assure you. Enter below. Good luck. I learned that they have FREE Handy Handouts! I learned that this site EXISTS! What a fantastic store!I seriously want to buy my kids all kinds of things! This could be dangerous! I learned that they offer FREE shipping on orders $20 and up! I learned that they have apps!